Lately I’ve been creating recipes to make snacks that keep well at room temperature, are nutritious, tasty, and easy to transport. 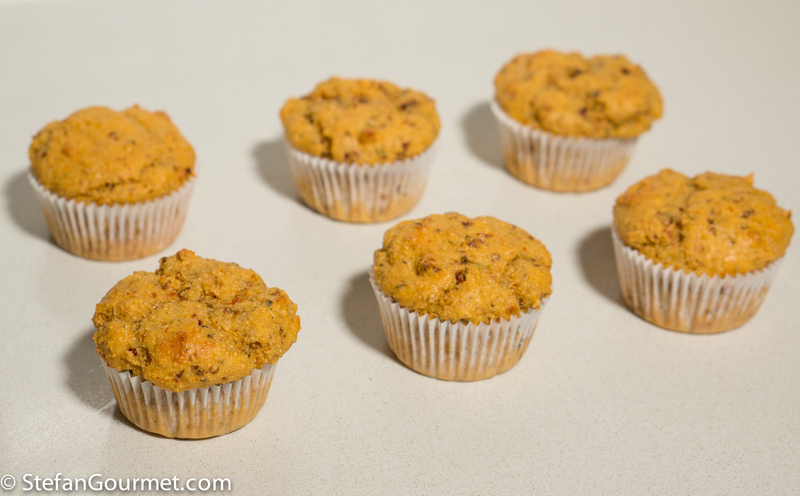 These savory muffins made with chickpea flour (garbanzo bean flour) certainly fit the bill. 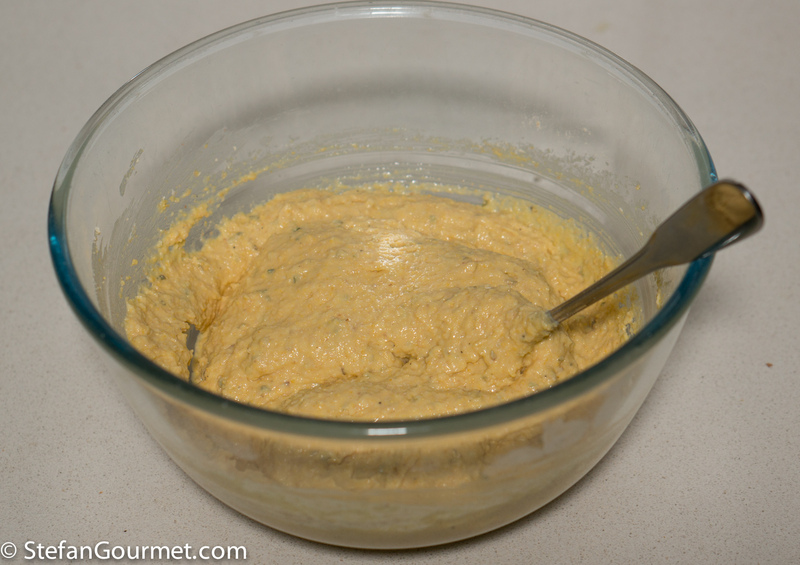 Chickpea flour is very high in protein (22%) and fiber (10%). 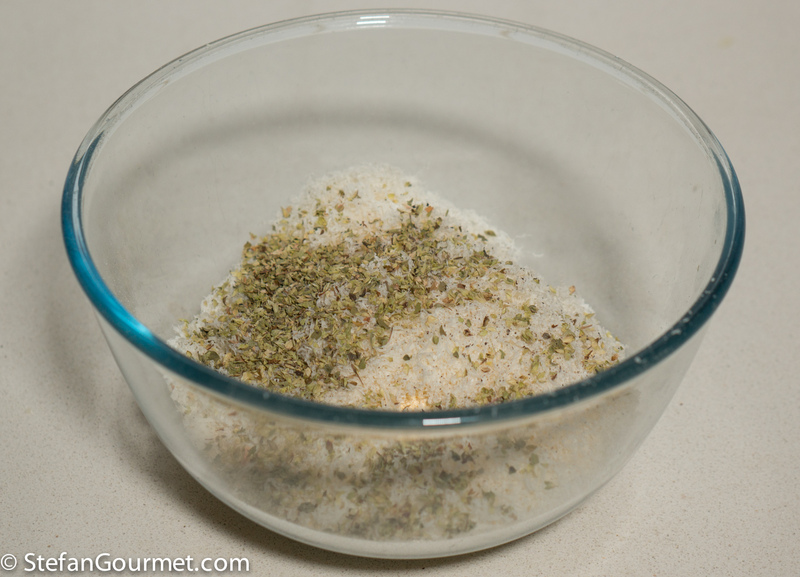 To flavor the muffins I use parmigiano reggiano, dried oregano, and either sundried tomatoes or peas. Each of these muffins has 185 kcalories, with 15 grams of protein, 15 grams of carbs, 3 grams of fiber, and only 7 grams of fat. The calories are about a third each from protein, carbs, and fat, which is the right balance if you have a desk job and don’t do a lot of cardio exercising (because for that you would need more carbs). I am eating them in between meals to gain lean weight, but you could just as easily use them as meal replacement to lose weight. For any diet it is important that the food is delicious and not a lot of hassle. These muffins are easy to bake and you can bake a batch of them in the weekend for the rest of the week. Here’s how. 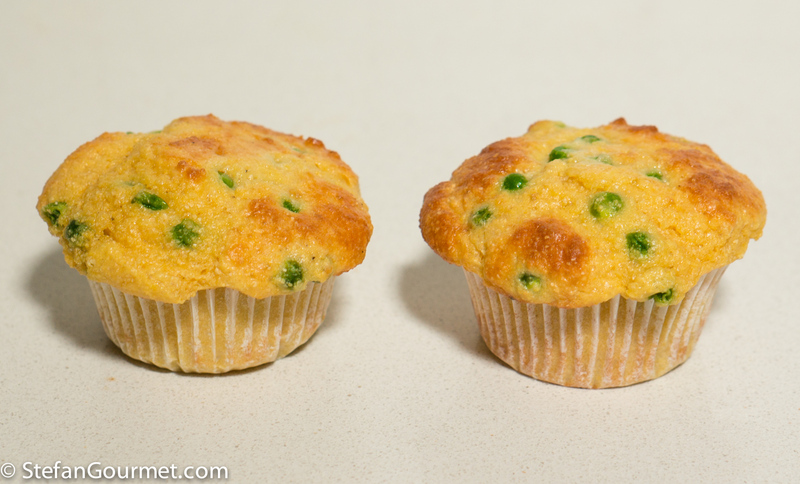 I started making them with sundried tomatoes, but thanks to Paola I discovered I like them even better with peas. The sundried tomatoes are already very salty, so do not use any salt when you use them. 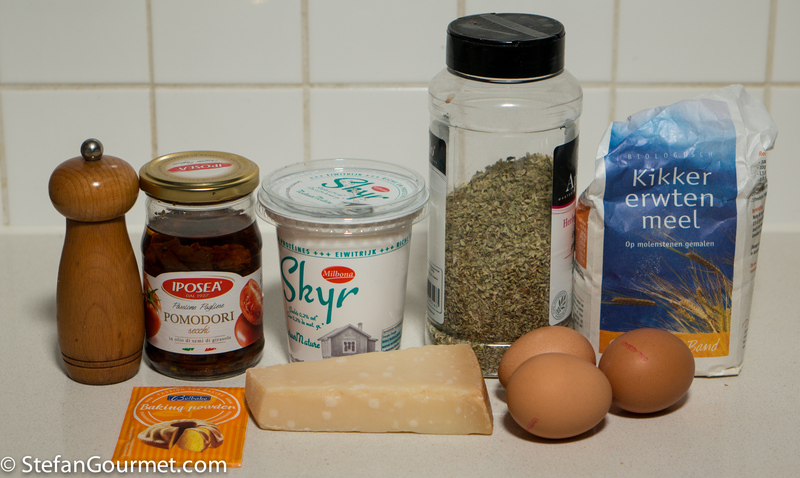 Combine the wet ingredients (eggs and skyr) in a bowl. 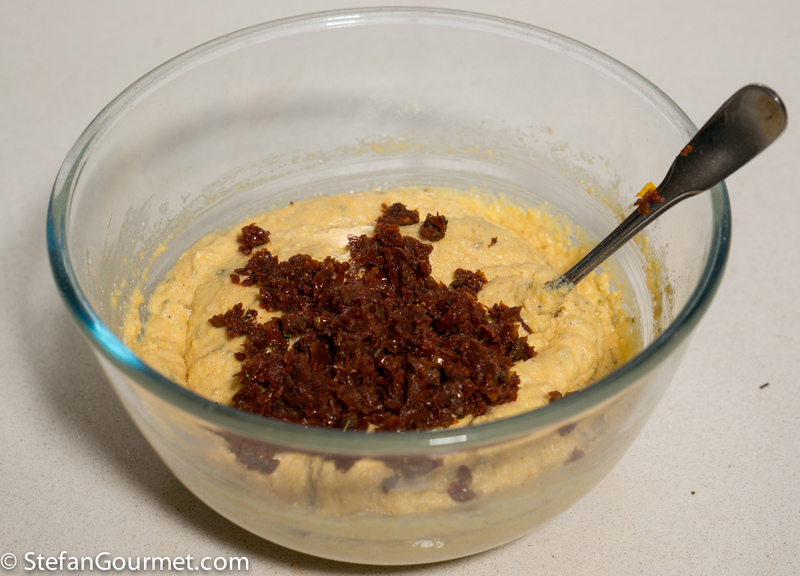 If using sundried tomatoes: you can either use them from a jar or completely dry (in which case they may need to be reconstituted in water first). In either case, pat them dry and mince them. If using peas: blanch them for a couple of minutes (the microwave is great for this). If they were frozen, they may already have been blanched. Unless you grow your own peas, frozen peas are actually better quality than ‘fresh’ peas, because they are at their best when frozen right after they have been picked. After picking they quickly lose flavor. 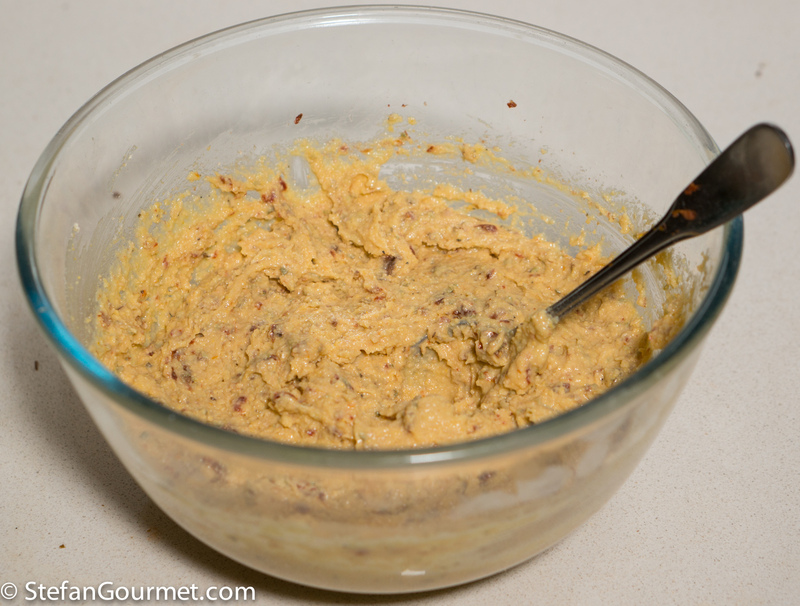 Fold the sundried tomatoes or peas into the batter. 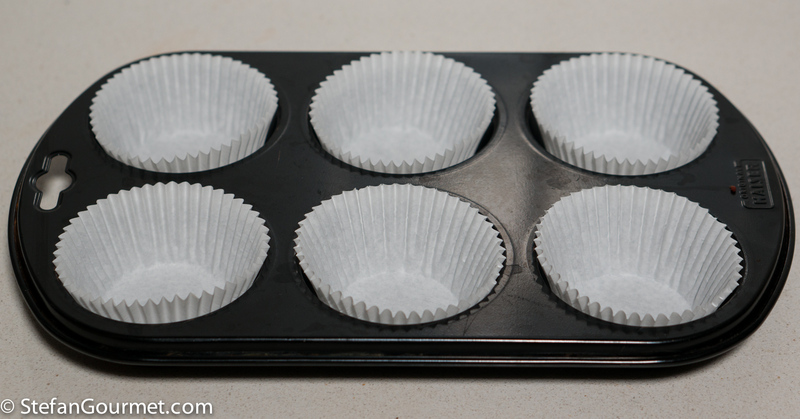 Bake at 180C/350F until a toothpick inserted in the center comes out clean, 20 to 25 minutes. Take them out of the tin to cool. The muffins will keep for several days at room temperature and at least a week in the refrigerator (bring to room temperature or nuke for 10 seconds in the microwave before eating). Every morning I take some from the fridge, wrap them in cling film, and bring them to work. I had to google Skyr as I’ve never heard of it! 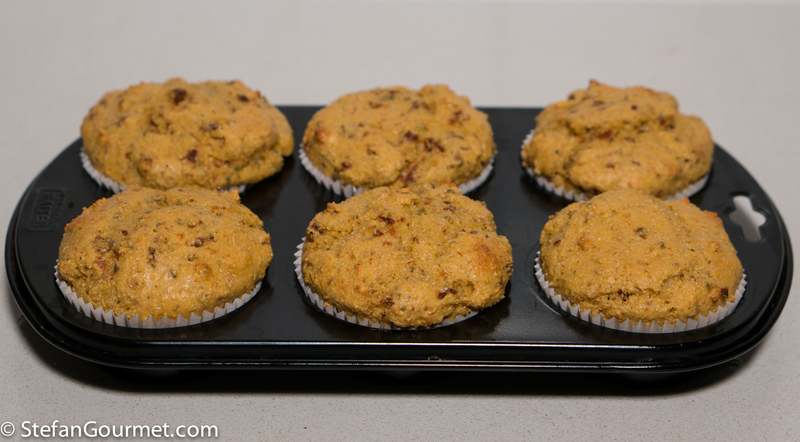 These muffins sound so healthy and I love your idea of making them in advance! Skyr is originally from Iceland but now it is easily available here in the Netherlands. 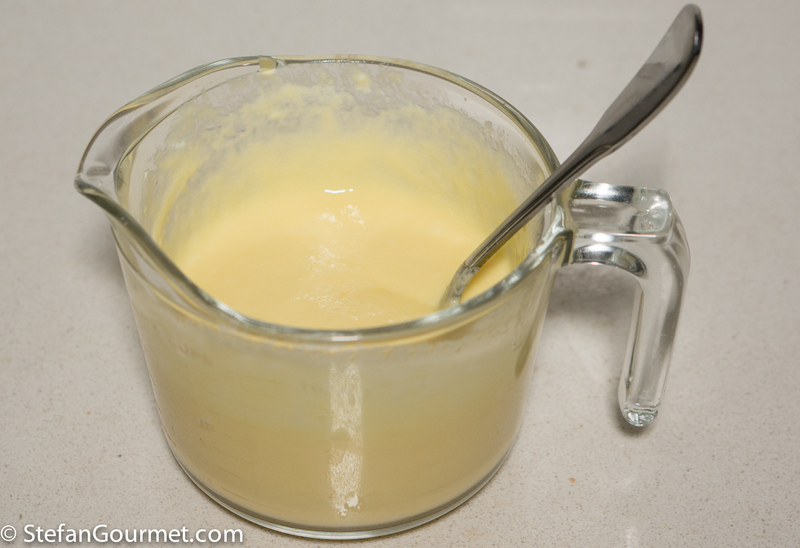 It is yogurt with very low fat and very high protein, and is surprisingly creamy. I’ll have to keep my eyes opened for it, I’m sure that it is wonderful in baked goods! It’s great for anything where you’d use regular yogurt, from middle eastern sauces to desserts. Oh ha, I totally missed that somehow! Thanks! Thank you a million times for affirming how important carbohydrates are in this crazy, and that includes nutritional, world! Rarely make muffins but methinks this recipe of yours will go right to the top of ‘your list’ in my kitchen ‘! With tomatoes, if I may 🙂 ! Interesting! I’ve just been making chickpea flour pancakes (posting about soon) and am about to try a savoury one with Indian spices and herbs. Muffins now also an option! I could use these as a substitute for the sweets I munch. Very nice. I love the idea of chickpea muffins. I often bake some savoury muffins before leaving on road trips and this fits right in. Thanks! How interesting! I have very few recipes for savory muffins. Yummy- so healthy and satisfying. I bet it would be great with extra fine almond flour, too! 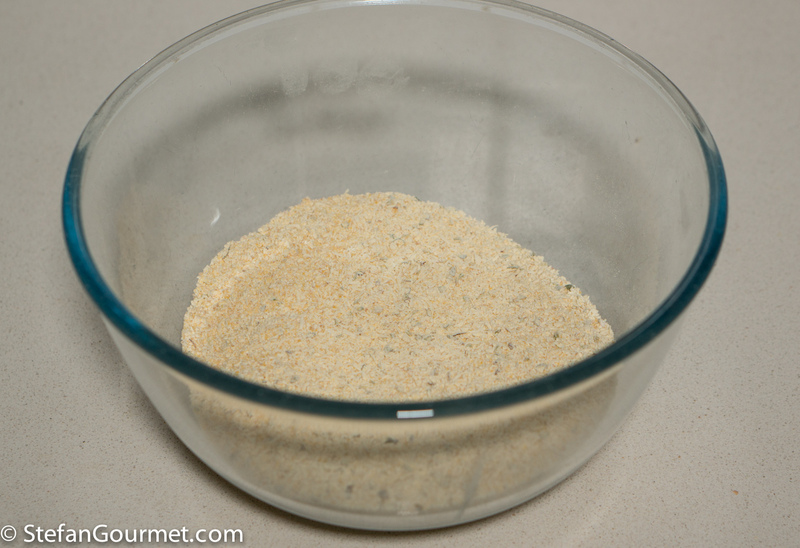 I also bake muffins with almond flour (and poppy seed), and they are great. 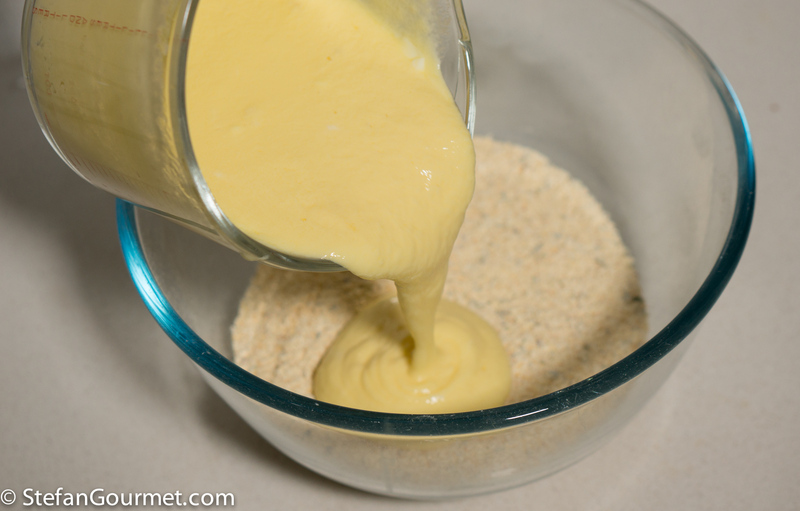 I use only half almond flour because of the fat content. Thank you. I was tempted to try making the sundried tomato version of these today because I was reminded that I have had some gram flour knocking about for a while. I was grateful for your introduction to Skyr which really is delicious and it would seem to be very easy to culture at home. (I usually avoid fat-free stuff like the plague being a country child at heart.) They were really nice and it will be well worth repeating the experiment. I think though I will try extra sundried tomatoes next time. Also the muffins stuck to the paper cups so perhaps I will try greasing them. Thanks for reporting back, always great to hear from you. I thought it was already on the salty side with the amount of sundried tomatoes I used, but that probably depends on the saltiness of the sundried tomatoes. 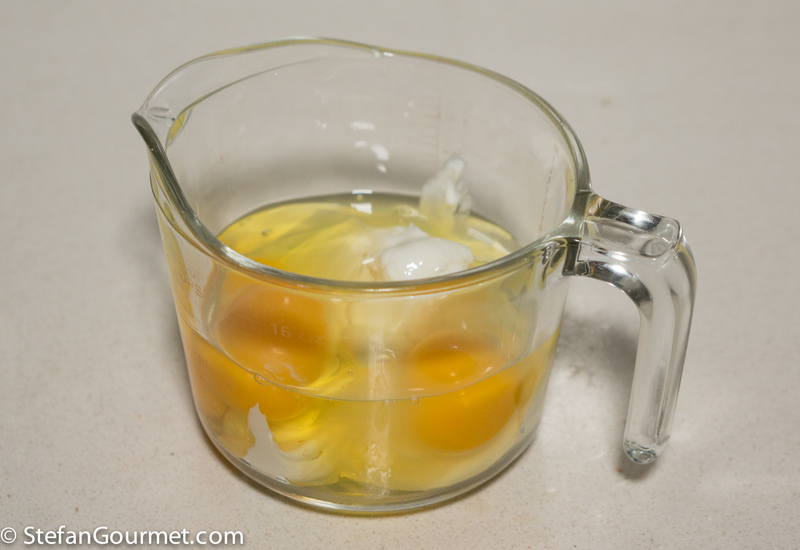 The sticking is also a bit less if you add two tablespoons of olive oil to the batter. Yes, thanks, obviously my sundried tomatoes are not very salty and thanks for the the olive oil tip. We have gluten intolerant family members so I will try the peas as well. I am trying a recipe for fermenting Skyr. The skimmed milk needs to be at 95deg for 10 mins without deviation before cooling and adding some from the pot as a starter. So another use for the sous vide bath. I remember my mother used to boil full fat milk to remove the cream for strawberries, scones etc and I suppose the Icelanders do something similar. I find it difficult to go to the checkout with my bottle of skimmed milk which is no cheaper and has a lot of the goodness taken out.